These are all words used in reference to the Mandala. Just what is it? The word Mandala itself has ancient roots in Sanskrit. It means circle. A breakdown of the word yields further information – manda (essence) and la (container or possessor). Given this, the Mandala could be understood as being a ‘container of essence’ or a ‘sphere of essence’. This is important for it gives context to the concept of the mandala, the development of an individual Mandala, it’s specific meanings, and how it is subsequently used. Given this, it could even be considered that business logos are a type of Mandala. When I was still working, one of the teams I was in spent considerable time and energy on developing our team vision, mission, philosophy, service delivery framework and the image that would best represent it. That is the essence Mandalas capture. Next time you drive down the street, or visit a professional, take note of all the different logos on display. What do they tell you? Some are very obvious. Others will leave you scratching your head in puzzlement. 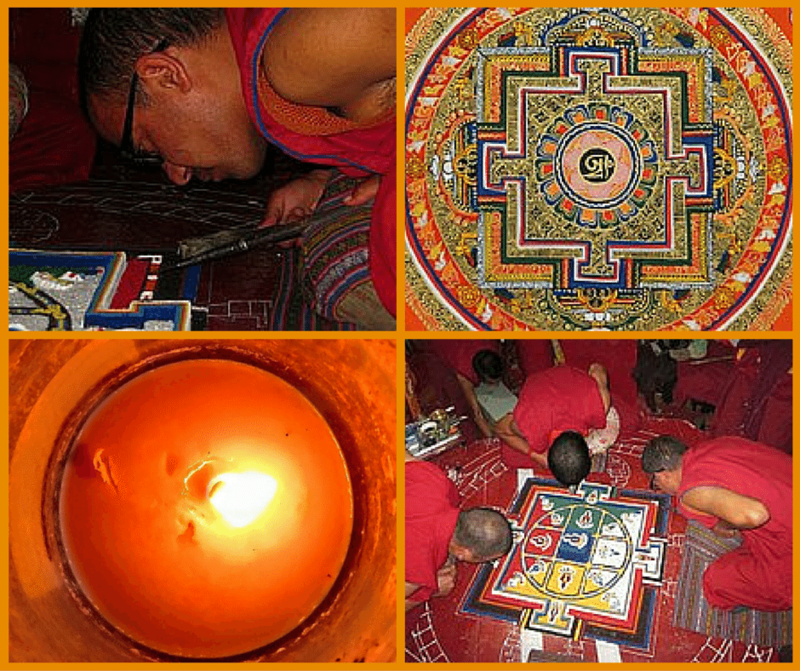 Tibetan Buddhists are famous for their coloured sand Mandalas. For Buddhists the Mandala reflects order, harmony and perfect wisdom. Geometric shapes and ancient spiral symbols are used to painstakingly create a coloured sand painting over many days. Traditionally most of them are then destroyed as a metaphor of the impermanence of life. When complete it is swept up and placed in an urn. Every grain is imbued with healing energy. The Mandala’s function of healing is honoured by distributing half to the audience and dispersing the other half into a nearby body of water. From there it spreads throughout the world for planetary healing. Jung considered the Mandala to be a source of energy, central to the personality and its development. The journey of self discovery, he wrote, involves returning time and again to the inner self/psyche to explore and integrate the lessons of archetypes and heroic journeys. The Mandala provides an ideal vessel for this kind of inner work. I’ll get back to this a little later. Angeles Arrien, a cultural anthropologist, conducted an extensive and fascinating bit of research research through a period of over 25 years. She came to the conclusion that there are five universal shapes that can be found throughout history and cultures across the world. These shapes have shared meanings. There is a return to shapes in various positions over a lifetime. 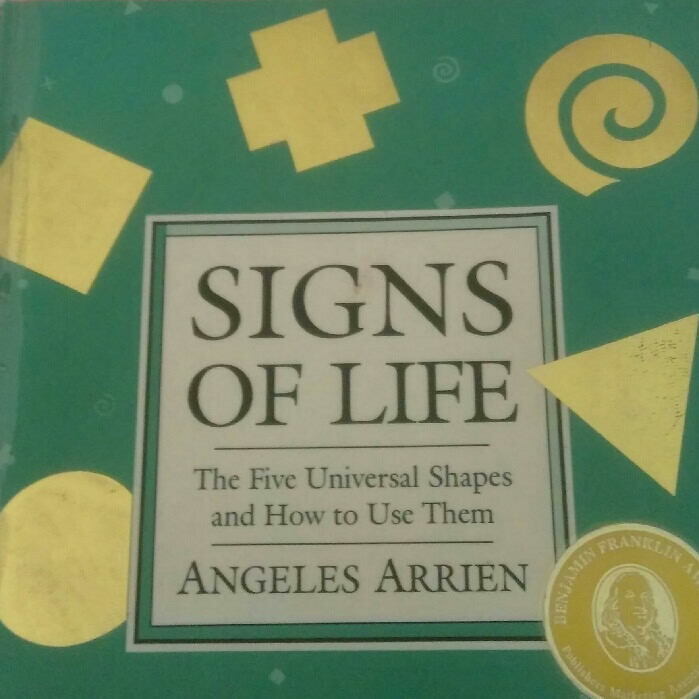 The five universal shapes Arriens identified are the Circle, Unilateral Cross, Spiral, Triangle and Square. Each shape symbolises life processes and has light and shadow aspects. The position in which they are placed in the PPT is integral to interpreting the results. Her work is fascinating and illuminating. Very simple and quick to do, I have completed the PPT many times since I first came across her work in 1994. It’s amazing how accurate it is in reflecting where I’m at! It’s equally as amazing when you start looking around at how often these shapes do actually appear when you become more observant of your surroundings. Here’s a brief overview about just one of them. – predominant in children’s drawings between ages 3 – 5 as a process of natural maturation (circles, crosses, suns, circles with faces). These form natural Mandalas through which children learn consciousness of the Self, establish identity. Identity and authenticity issues – need space. Movement, flexibility, coming to the same point again and again, at a different level so everything is seen in a new light, new perspective on issues/ people/places, like a snake shedding old skin to reveal new, creative, ingenious, wholeness, spider web. Danger of focus on goals so that nothing is accomplished. Self-discovery, revelation, envision new possibilities, a chance to re-dream or re-vision, ambitious, to reach the unreachable, reach to the stars, like an arrowhead to a goal, sense of direction, heightened, enlightened, illuminated outcome, aspiration upward. Creative projects challenge completion and growth at different levels of awareness, may be seen as superficial, exploration of many things at once. I realise I’ve been a bit long winded. However, if you are at all interested in working with Mandalas it is just this kind of information that is so helpful. I have used it often over the years. Arrien’s work and other resources informed my development of a deeply transformative Mandala Meditation. Those who have experienced it find it very powerful. For the best part of two years I worked on creating my personal Mandala. It involved a long period of deep inner work and research. Eventually, it’s core component formed the basis of my logo. Every element has meaning, whether it be colour, signs, the number or types of images. 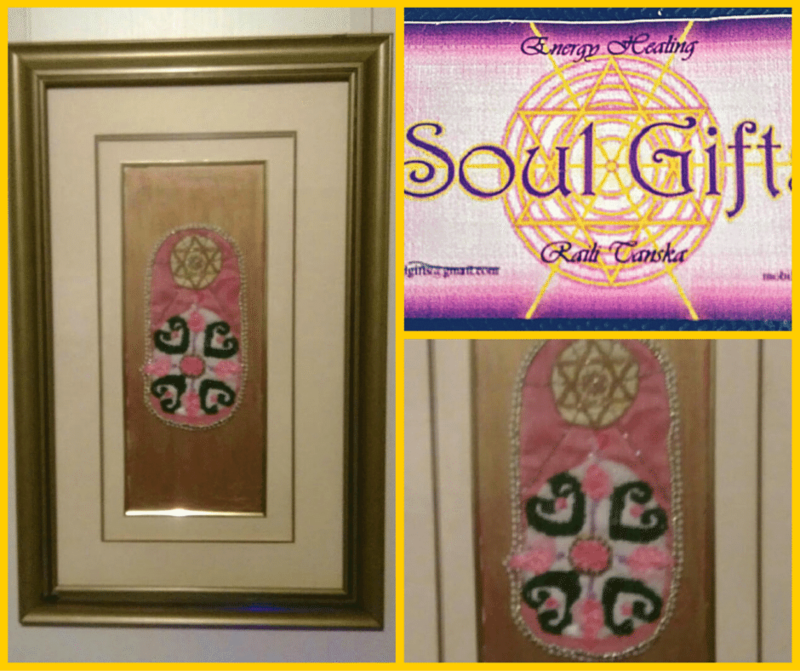 Once completed, I went on to create it into a wall hanging with glass beads. You will notice that the top of the Mandala consists of two universal signs – the spiral (which could also be seen as multiple circles) and the pyramid (in the form of the Star of David). Each of the 6 points of the Star of David are linked to core principles which underpin my Mission/Vision: To serve – with Love. Starting clockwise at the top, they are: Connectedness, Honesty, Justice, Balance, Wisdom and Integrity. The central point is Spirituality. It is not at all necessary to go to such extreme lengths. Some people create an ongoing series of Mandalas to journal and document their personal journey. These are sometimes painted or drawn very quickly. Mandalas can also be used to support meditation. 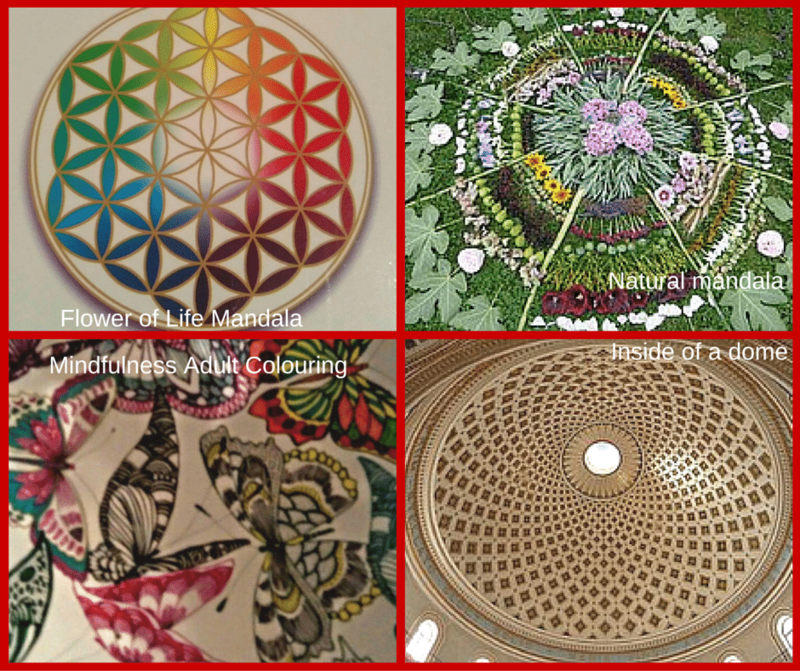 The current trend of adult colouring in is a form of Mandala work that soothes and relaxes. There really is no right or wrong to it. Just explore, be creative, and have fun! Lastly, the sand is carried in a procession by the monks and accompanied by the guests, to a flowing body of water. Here the sand is ceremonially poured into the water, released back into nature. This way all the positive and healing energies of the mandala is spreading through the world, this way blessing all elements and all beings. I am delighted you reblogged this Raili.. What a wonderful informative post mandalas have long held my interest, in that I have drawn and painted many.. The shape of your inner circle caught my eye as I had been tinkering in the past using 3D paint which came with my computer system.. I had not really explored it until the other week, and then played around with it. You may see that same inner circle at some point on a post LOL.. I love how the Tibetans create with such love and patience their sand painting in such detail and then with a sweep of a brush they destroy it all . Showing us how temporal this world is and not to hang onto anything.. as they let go of their creation.. Wonderful to be catching back up with you again, I needed some time out from technology and went into my own inner self again and my creative side..
Raili – I like visiting Neolithic sites. The old Celtic ones have lots of these circular mandalas carved in the rocks. Beautiful inspiring post! Love the visuals and your prose. Magical combination. glad to add further info for those interested!